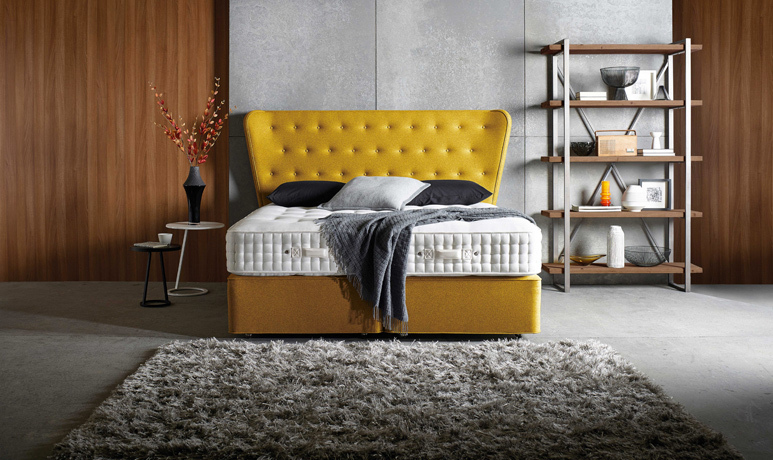 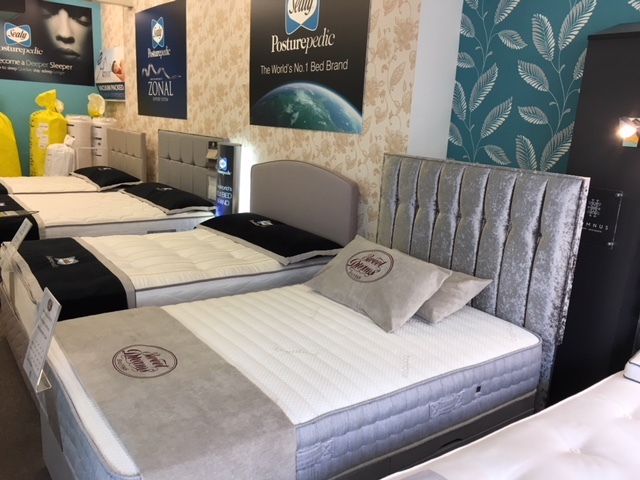 We have a fantastic choice of mattresses and divan beds on display from many of the UK’s top bed manufacturers including Sealy, Myers, Sleepeezee, Salus, Breasley, Sweet Dreams and Somnus. 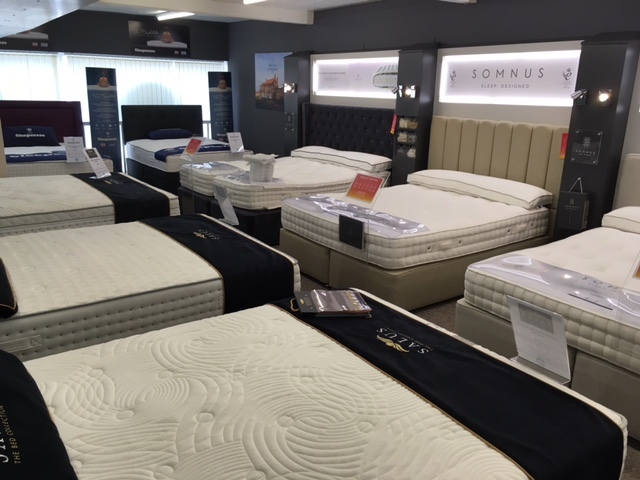 The sleep council advise customers to take their time when choosing a new bed or mattress and we agree with this advice! 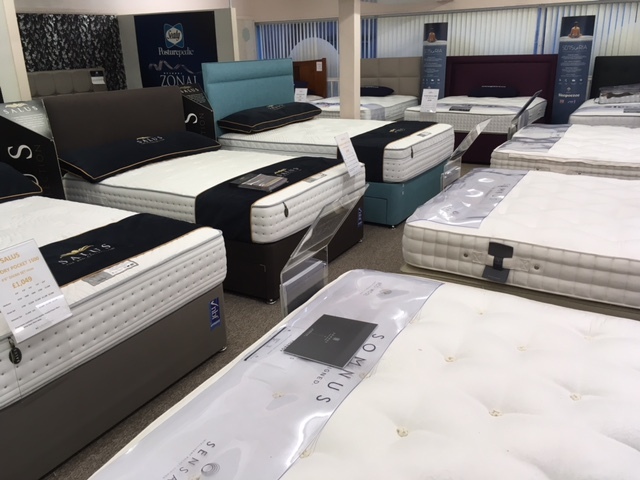 When you visit our showroom you are very welcome to try as many of the beds as you like and take as long as want in doing so. 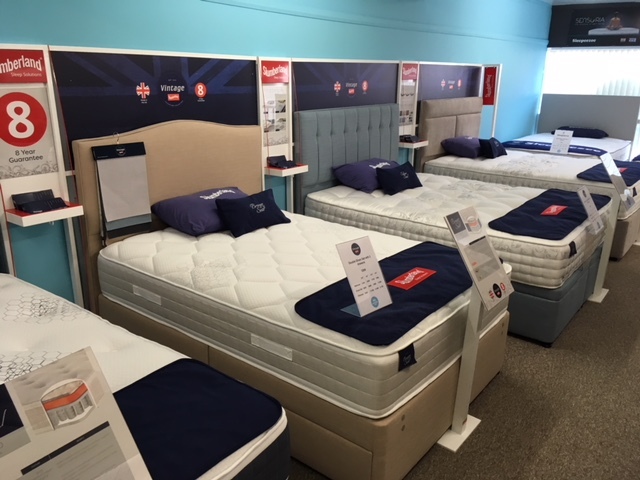 We will listen to what your requirements are and with our knowledge of the products we can help you to make the right choice if you need us to – however there is definitely no hard sell! 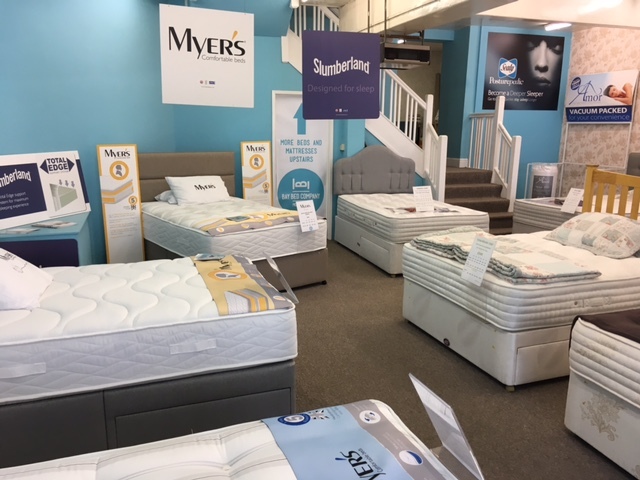 We sell all standard sizes of divan beds and mattresses plus made to measure mattresses (2’6″, 3′, 4′, 4’6″, 5′, 6′ or small single beds, single beds, three quarter beds/small double beds, double beds, king size beds, super king size beds, small single mattresses, single mattresses, three quarter mattresses, small double mattresses, double mattresses, king size mattresses, super king size mattresses). 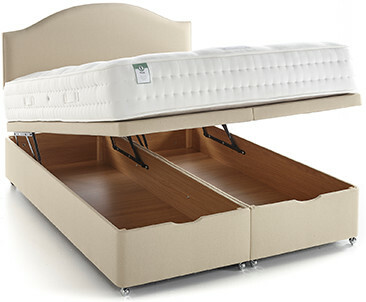 AND don’t forget we offer FREE LOCAL DELIVERY and FREE REMOVAL OF THE OLD BED/MATTRESS. 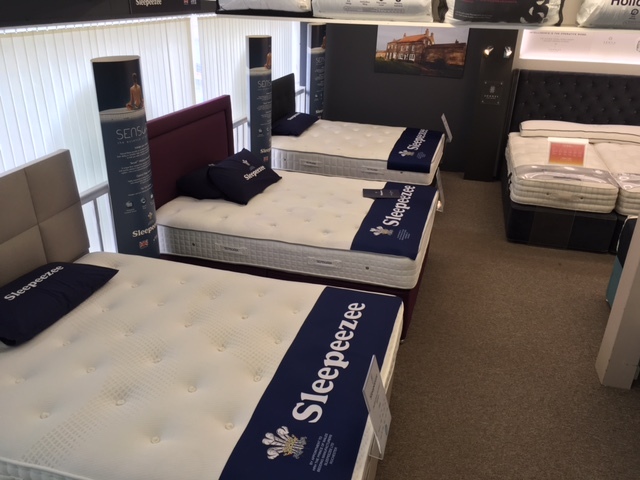 ALSO your new divan or mattress will be delivered to your home by our uniformed, in house delivery team and taken to the room of your choice.